Ian Hodder is Dunlevie Family Professor of Anthropology at Stanford University. "A crucial addition to contemporary debates in social sciences. The way different methodological issues are discussed, as well as the dialogue between different contributors serve as an exemplary way of promoting scholarship of the highest standard." 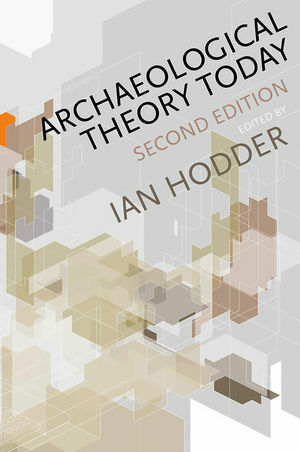 "In Archaeological Theory Today, Ian Hodder has assembled a fine collection of papers that, taken together, present a vibrant and exciting overview of current theoretical trends. Reading this volume, one is struck not just by the diversity of archaeological theory today, but by its breadth, depth, and sheer intellectual vitality. This book is not just an overview of current thinking, but an eloquent statement of the importance of archaeology as a modern human science." "Archaeology has changed dramatically since the early 1980s. It is more inclusive, more holistic, and more relevant to the modern world. These changes are the product of the interplay of internal debates about epistemology and external discussions regarding social and political factors in the context of knowledge production. This new edition interrogates standard assumptions underlying such oppositions as culture and agency, matter and materiality, individual and society, colonial power and indigenous resistance, and, in the process, offers exciting new ways forward." "In this new edition, valuable chapters on cognition/symbolism, agency, landscape, and post-colonial archaeology are revised and carried on from the first edition. New chapters on materiality, behavioral ecology, complex systems, heritage, and indigenous knowledge (among others) are added. The new ATT admirably takes the pulse of major and progressive trends in social theory by leading archaeologists." Revised and updated edition of a highly successful text on theoretical approaches to archaeology. Brings together some of the major exponents and innovators in the discipline to introduce their individual areas of specialism. Summarizes the latest developments in the field and looks to the future of the discipline. Considers archaeology’s relation to other fields and its desire to contribute to wider debates. Essential reading on a range of courses.